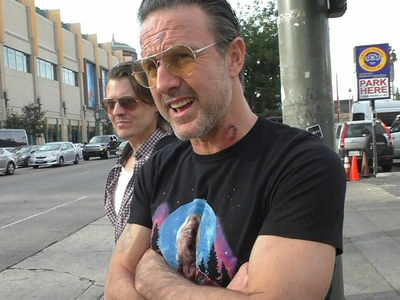 David Arquette is a glutton for punishment ... returning to the wrestling ring after a deathmatch that almost killed him. 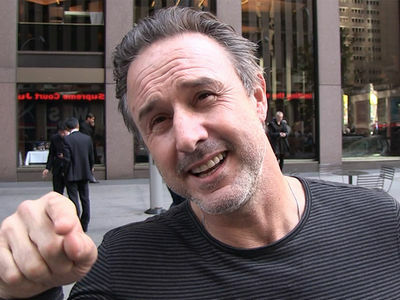 Arquette took the mic at a news conference Friday night to hype his upcoming match with veteran pro wrestler Jocephus in a "hair match" for the National Wrestling Alliance. The stakes ... loser shaves his head. 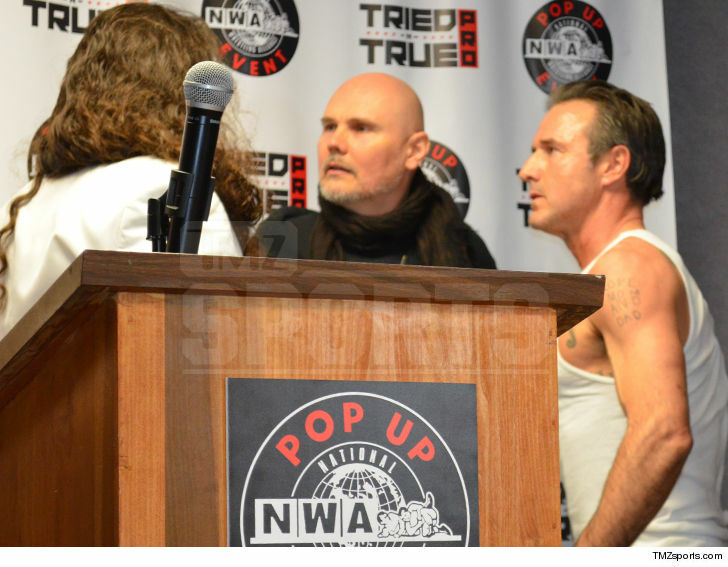 NWA President and former Smashing Pumpkins frontman, Billy Corgan, kept the 2 men apart during the faceoff at the Pinnacle Family Entertainment Center in Clarksville, Tennessee. 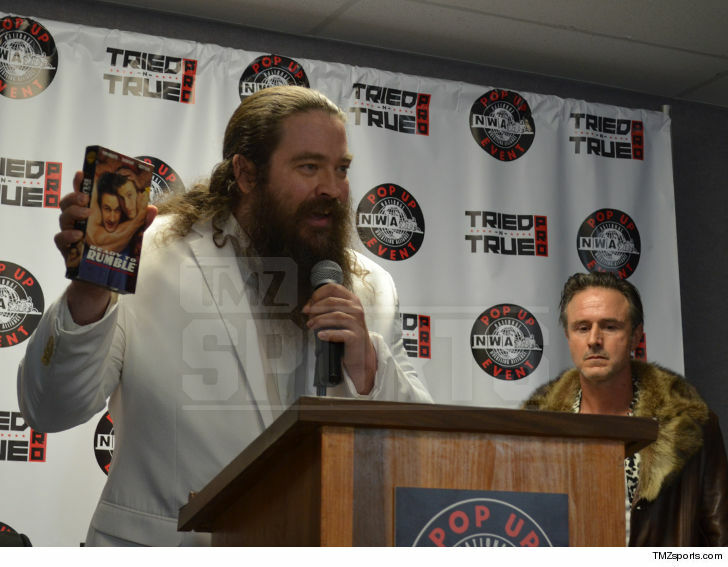 Jocephus stormed the stage with a VHS copy of Arquette's 2000 pro wrestling movie “Ready to Rumble” ... mocking him as an actor and implying he had no business trying to measure up in the ring. As we previously showed you, poor David was a bloody, mangled mess last November after getting smashed in the head with a light tube. The Arquette/Jocephus hair match goes down tonight. At least this time around, the consequences for the 47-year-old Arquette will not be as grave, unless of course the clippers haven't been sharpened.